Why Check Out the Gallery on a Garage Door Website | Whitby Garage Doors Ltd. If you’re in the market for a new garage door, you’ll probably be visiting more than a few garage door websites. While websites are basically online advertisements for a business, you can still tell a lot about a company from them. One quick way to get a bit of real background is to look for ‘credibility symbols’. 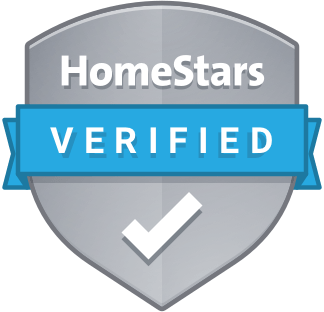 These are logos of industry associations or awards from review sites like Homestars. If they are authentic, they can and some measure of credibility to a company you haven’t dealt with before, or even heard of. You can simply visit the sites or call the associations that the logos represent to verify if the company is indeed associated with them or if they were the award recipients they claim to be. A company blog is another way to find out a lot about a company. But, again, you need to have a way to verify what you see. Just the existence of a blog is not enough to confirm that this is a good garage door company to work with. Take a look at what they blog about. If they have posts with titles like “How to Spot the Best Garage Door Companies”, the information might be useful. But you can bet that the company that wrote the post fits all the criteria for being a great garage door company according to what’s written in the post. If every photo in the gallery looks like it could be in an architectural magazine, with perfect lighting and what looks like a custom-designed home, beware. You’re probably going to choose a local garage door installer, so the houses and doors should look familiar. And don’t be afraid to ask the company where the homes are in the photograph. So you establish that the photos are of actual installations the company has done. But if they all look annoyingly the same, with maybe a few different colours on similar designs, then that’s another reason to be aware. It means the company may have a deal with a single supplier, even for a single model of a door, and your options will be limited. Every new garage door will look good. But does it fit with and even enhance the overall curb appeal of the home. If you can’t tell from the photos, ask the garage door company for a list of their installations that are near your home and take a look yourself. A good garage door installer will be more likely to look for and recommend a certain style or type of door that will not only look great on your home but fit your needs too. You could just skip the whole website and gallery thing and take our word for it. We are the best garage door installation company in Whitby! Contact us today.